Fable creator Peter Molyneux is leaving Lionhead. 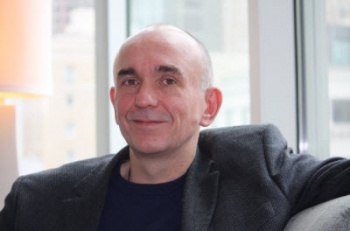 There are only a handful of videogame designers in the world who are recognizable names, and of that small list there are few who are better known or inspire more conversation than Peter Molyneux. He founded Bullfrog Productions, which gave the world Populous, Syndicate, Magic Carpet, Dungeon Keeper and more, and then Lionhead Studios, responsible for the long-running Black & White and Fable franchises. And now, 15 years later, he's moving on. "It is with mixed emotions that I made the decision to leave Microsoft and Lionhead Studios, the company that I co-founded in 1997, at the conclusion of development of Fable: The Journey," Molyneux told Kotaku. "I remain extremely passionate and proud of the people, products and experiences that we created, from Black & White to Fable to our pioneering work with Milo and Kate for the Kinect platform. However, I felt the time was right to pursue a new independent venture. I'd like to thank the team at Lionhead, as well as our partners at Microsoft Studios for their support, dedication and incredible work over the years." Following the announcement, Microsoft issued a statement indicating that the split was amicable, if not entirely welcome. "As co-founder of Lionhead and an integral part of Microsoft Studios, Peter was the creative visionary behind the blockbuster Fable franchise, and one of our most passionate and influential developers for the Xbox 360 platform," the company said. "He has made an indelible mark on the games industry and we wish him all the best of luck in his future endeavors." Molyneux will continue to work on the new Fable title, Fable: The Journey, as a creative consultant, but according to MCV his name will now be on a door at 22 Cans, a new venture launched in January by former Lionhead Chief Technical Officer Tim Rance. What the boys plan to get up to hasn't been revealed, but it's a safe bet that videogames will somehow be involved.